Bali, Indonesia | a surfer’s paradise and a spiritual haven. I have been to Bali five times. Crazy, yes. However, it is only a 2 1/2 hour flight from Singapore. It is one of my favorite places I have been, and I will never get tired of going. Every time I go, my experience is so different. For a no glitz surf trip, visit Legian Beach, just south of Seminyak. If you want to have the villa experience with morning Yoga or Pilates, Seminyak is the place for you. For a quiet, peaceful, relaxing holiday with the family, you may want to stay in Nusa Dua. 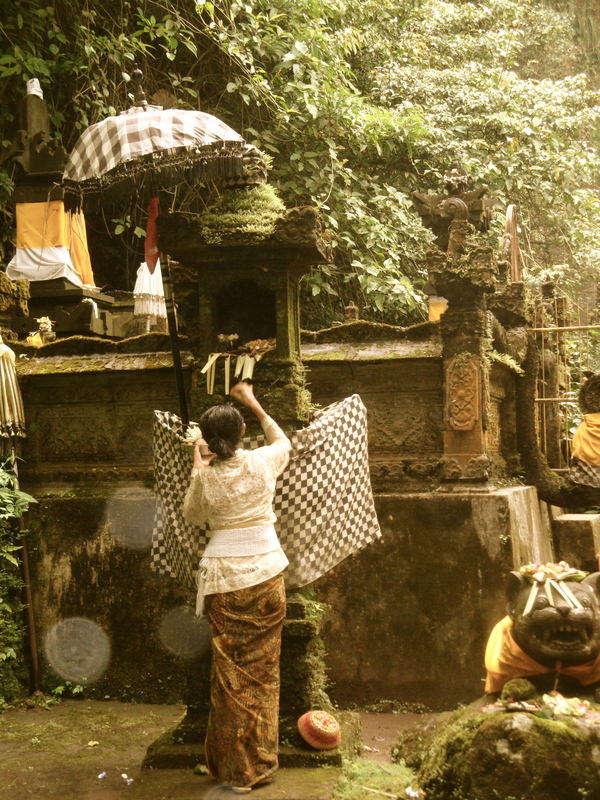 For the hippie in you, go a bit north to Ubud. Regardless of where you are staying, take a day and hire a driver for USD40 and tour the entire island ticking things off the list such as the Git Git Waterfall, the active volcano Mt. Batur, Monkey Forest, the spiritual Uluwatu, and last but certainly not least, the infamous rice paddies. Before you go, realize that the beaches in Bali are far from the most beautiful. Every time I visited Bali, the beaches have always looked different. It turns out it all depends on the rain and the currents in the water. At times the beaches are clean and crystal clear, and others extremely dirty and brown. The Conrad, Nusa Dua | $$$$ This is your typical resort with big pools, cold towels and lots of families. There are no surprises and you always know you will have a wonderful, clean room with great service. Keep in mind, Nusa Dua is at least a 45 minutes taxi ride away from the nightlife in Semiyak. The Laguna Resort, Nusa Dua | $$$$ Again, your typical resort. Lovely rooms and great service. The Intercontinental, Jimbaran | $$$$ This is again, your typical resort in what many call the “Beverly Hills” of Bali. Many of the islands top resorts are located here. I chose this hotel because my little sister was visiting, and because this was her first Asian experience, I knew that by staying here it would be a great experience, with no surprises. We were actually even upgraded to a duplex suite which will always stand out and remain as my top Bali hotel choice. Definitely opt for dinner on the beach at one of the dozens beach restaurants just minutes away down the beach. The W Hotel, Seminyak | $$$$ I was here when they first opened so they still had a few things to fix, but overall I was impressed. I am usually turned off by W Hotels, just because they are trying so hard to be hip and cool, yet sometimes they just seem weird. Not to mention all the bright purple colors drive me crazy!! But this W felt different, and more calm and relaxed. There were a lot of sage greens, which made a huge difference. If you don’t want to splurge on a Villa, definitely go for the Ocean View rooms. It is absolutely stunning. Warwick Ibah Villas & Spa, Ubud | $$$ You really couldn’t ask for a better place to stay while in the middle of the jungle. Complete with mosquito net, the basic rooms are extremely spacious with a huge bathroom and separate outdoor living room. 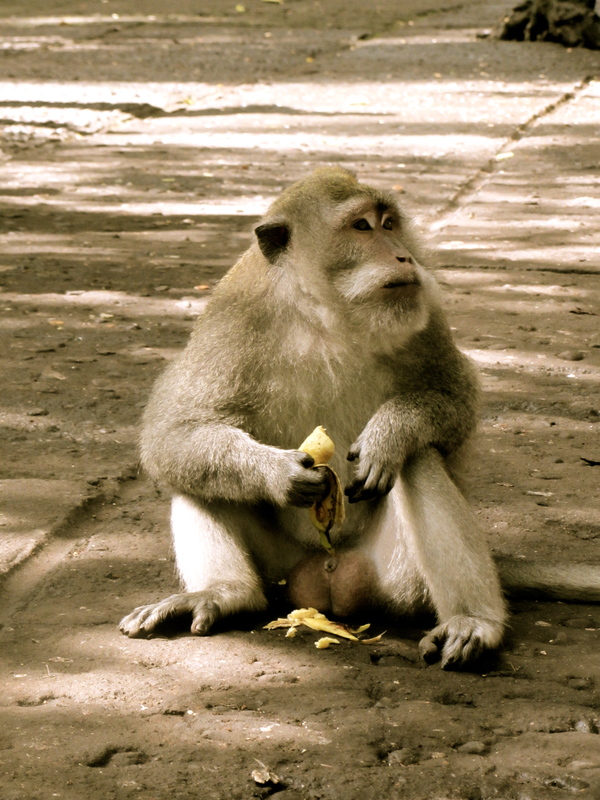 Be aware, do not leave any food out and keep your doors closed, as monkeys like to visit! The pool was beautiful, and for some reason always made me feel as though I was on set of Romeo & Juliet. Weird, I know. If you are terrified of spiders and creepy crawlers, watch out. It was here where I spotted the biggest spider of my life! The Haven, Seminyak | $$ We literally chose this hotel due to the proximity to Legian Beach. We had only one night in Bali and only one day which we wanted to spend surfing. The rooms were basic and clean. No bells or whistles. It was clean and comfortable. The location was great, walking distance to many shops and restaurants in Seminyak. I would suggest here only if you have a night or two. Bali Ayu Hotel & Villas, Seminyak | $$ We spent a long weekend here and it was great. It wasn’t fancy by any means but nice. The outdoor bathroom was my favorite part. We honestly did not spend any time by the pool, as I was enrolled in “surf camp” the whole time. This was a place to simply sleep. If you are looking for more of a leisure hotel, this is not the place for you.